Recruiting Agency | Washington D.C.
Get access to the best opportunities and receive unparallelled career guidance that meets your desired industry and career goals. Connect with qualified, experienced and professional candidates with our efficient recruitment process and start building your team today. See what current and past candidates and employers are saying about our groundbreaking processes and solutions. "Our logo, the ampersand (&) is about teamwork—teamwork between Wisdom & Williams, our clients and our candidates. We focus on tangible and intangible skills to meet our clients' requirements. Through teamwork, we ensure chemistry between the candidate and the client's organization and culture to assure a long-term, happy and productive relationship. This has been our successful approach for 26 years and has resulted in the creation of hundreds of happy, motivated employees and highly satisfied employers." ...change the world one placement at a time!" We are a leading recruitment agency serving the DC metro area. 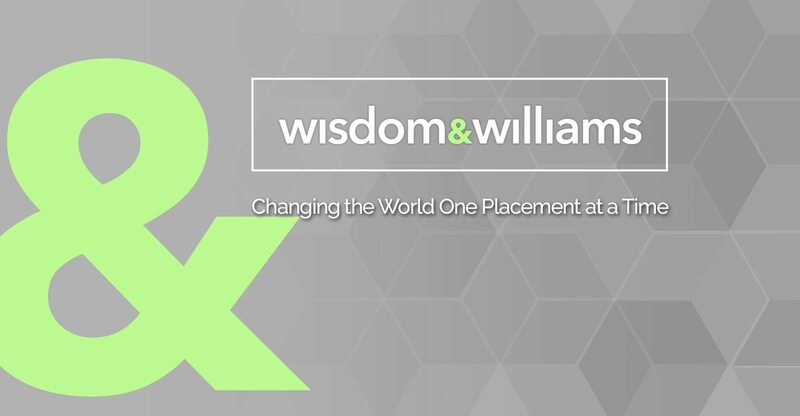 At Wisdom & Williams, we focus on what is "right" for both employers and candidates alike. When needs are met on both sides, tenure and growth result!"